When it comes to technology, it’s funny how little general aviation has changed over the years. A pilot transported to the modern day from a half-century ago would recognize most of the airplanes flying today. He’d certainly recognize 21st century engines and props, because it’s the same stone-simple, air-cooled reciprocating hardware they had 80 years ago. Since I started flying, the most notable changes have occurred where computers are used. Avionics, tablets, internet-based data connectivity, traffic and terrain avoidance, etc. In many cases the revolutionary thing isn’t even the technology, but the incredible drop in prices that has made even the certificated stuff available to the everyday general aviation pilot. A good example is today’s news about the huge price reduction on the Garmin 3X glass panel suite. Not only has the price decreased, but they’re now throwing in their class-leading GFC-700 two-axis autopilot for free. Garmin’s flagship product, the G3X EFIS, will get a new low-cost and lighter ADAHRS system and a new engine indication product that will drop the price of the complete package to $4375. 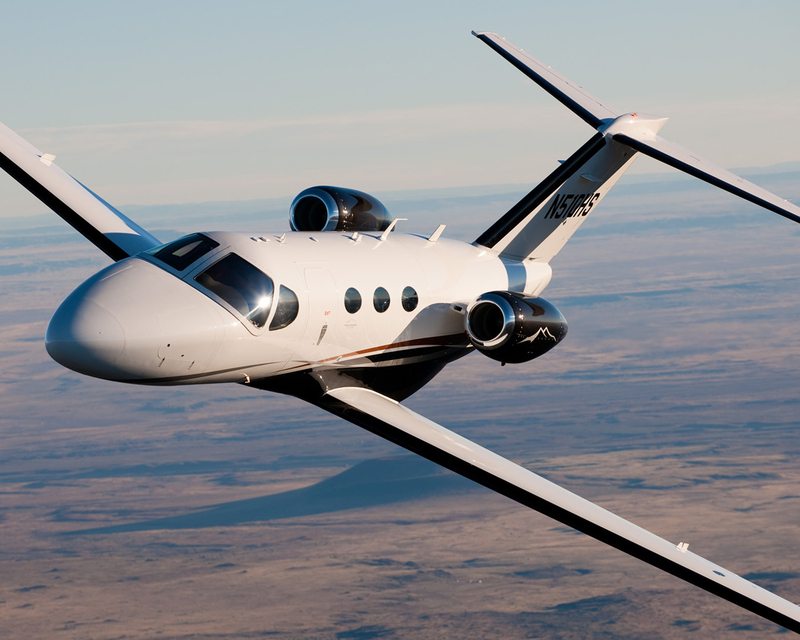 Sweetening the deal will be additional modules for the G3X, including an integrated autopilot with similar capabilities as the popular GFC 700 certified system, an angle-of-attack system for stall awareness and a hard-mount remote ADS-B receiver based on the GDL39 portable product. As much as I follow the glass revolution, I never thought much about GA simulators until Brent mentioned it on iFlyBlog. It’s not all about the checking, there is a great deal of learning the occurs as well. You get to try things you could never do in the real airplane and you get to practice little-used procedures so they aren’t too rusty in case you need to press them into service. There has been significant movement to bring flight simulation to a wider audience of pilots. Redbird Flights Simulations has been providing the tools to do just that. By my rough count there are at least 176 Red Bird Simulators at flight schools across the US. That’s a lot of simulators! 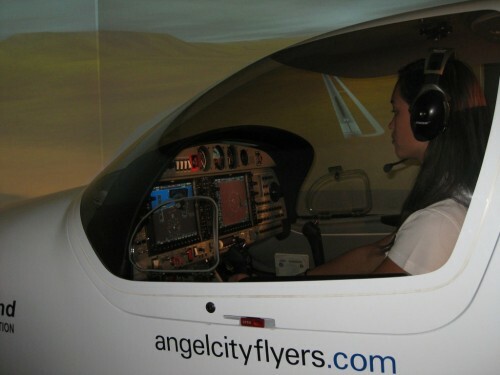 The mention of RedBird reminded me of a recent visit to Angel City Flyers, a Diamond-esque GA flight training operation at Long Beach Airport. 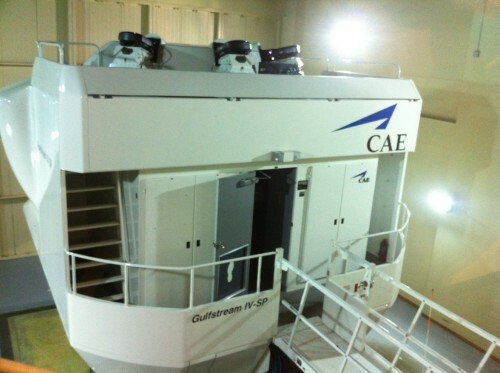 They have two of the most advanced general aviation simulators I’ve seen. One is a DA-42 TwinStar simulator. No motion, but it has a full wrap-around visual and what appears to be an actual DA-42 cockpit, including canopy, G1000, and the rest of the works. The sim was manufactured by ELITE Simulation Solutions, who refers to it as the “iGATE Advanced Aviation Training Device”, or A-ATD. From what I was told, the TwinStar sim is not a new addition. They’ve had it since 2005. Angel City Flyer’s DA-42 Twin-Star flight training device. The simulators are getting better, folks! Incidentally, ACF also recently installed a Redbird-based Citation Mustang simulator that was on display during the open house I attended. They had it running in some sort of demonstration mode (or it could just have been the autopilot was on, who knows). I don’t see any mention of it on their web site yet, but the setup was pretty sweet, complete with huge flat screen display outside the sim which showed a “chase plane” perspective of the Mustang as it flew. The cockpit interior looked very much like the actual Mustang jet parked outside their hangar. Some of these simulators (“flight training devices”, technically) are so advanced and technology-heavy that their hourly prices start to approach those of the actual aircraft. At least, that’s the case with the lower end of the market. The TwinStar FTD at Angel City runs $110 an hour. For something like a Mustang, where operating costs are probably in the $1600/hr range, spending $250/hr or so on a halfway decent motion-based FTD is a no-brainer. Mastering flows and procedures in the sim will maximize the benefits reaped from each hour spent in the actual jet. The one place where these advanced FTDs really shine is in allowing pilots to try things they can’t or shouldn’t do in real life. Taking an engine-out scenario all the way to touchdown, simulating smoke in the cockpit, deploying a ballistic recovery parachute, extreme unusual attitudes in a non-aerobatic airplane, emergency descents, icing encounters, zero-zero departures, and so on. During my last recurrent training session on the Gulfstream IV, we had an extra session in the sim and the instructor asked if there was anything in particular I’d like to use it for. My preference is usually to run emergency scenarios and simulate situations that don’t occur very often, because it’s so easy to get rusty on stuff that’s not used on a regular basis. So he set me up on a hot day in Aspen, we figured out the performance-limited maximum weight we could handle, and I departed with a not-unexpected engine failure just after V1. The Gulfstream IV “Level D” simulator is literally a small building sitting on a bunch of hard-core hydraulics. As an added bonus, the visuals were left on so I could see how close the aircraft gets to terrain while flying the departure procedure (the short answer: reeeeealy close!). Then I climbed up to cruise altitude and experienced a loss of cabin pressure followed by an emergency descent and single-engine approach and missed at Denver. Simulators are just that — simulations. They’re not the real thing, and even the best of them can’t duplicate reality with 100% accuracy, but the benefits of ever-more-accurate reproductions are undeniable. With the high (and rising) cost of flying, the same high-fidelity stuff that has kept jet pilots safe and current is rapidly becoming available to the rest of us. I would disagree the way that sentence is worded. It sounds as if the simulators are being used to break the rules or try maneuvers that are not authorized. The write-up is a little less confusing where it explains that the simulators have value in allowing the pilot to practice emergency procedures by introducing aircraft malfunctions and extreme weather conditions and these are things the pilot SHOULD be doing. I just wish they had worded it better. There are no “rules” to break in the simulator, that’s why it’s the perfect place to try things that aren’t exactly smart to do in the plane. Try a box canyon maneuver, a last-ditch recovery of some sort, or any number of things you shouldn’t do in the plane. This ‘training’ should always be tempered with applicability and pertinent regulatory guidance under the supervision of an instructor. As a career USAF pilot, I agree with the general sentiment in this article; the simulator should never be used to replace the plane, rather augment it only. With budgetary cuts, the military is looking to simulators to replace flying more and more. 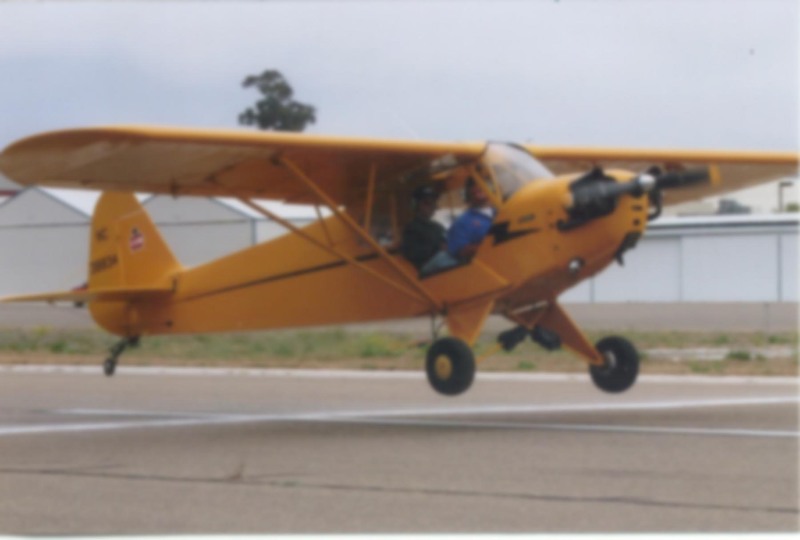 However, no matter the fidelity of the training device, it will always be 1G and 2D visuals (although 3D may come down in cost, complexity, and weight in the future) and can never replicate the sinks, slips, and skids necessary to learn how to ‘feel’ what the plane is doing nor the depth perception required for certain flight regimes. If used as the sole training device, it will make a guy about 80%, numbers only, and never make him a pilot. Make no mistake, simulators are incredible training tools. Simulated emergencies, complex weather, and compound problem solving are all very well suited for simulator training. Always remember, the simulator is not the plane and there is no penalty for being wrong. I think you hit on something important with that last paragraph. Even if it was a 100% accurate representation, including the acceleration and full visuals, radio traffic, and all the rest, the pilot knows he’s in a simulator. The penalty for a poor outcome in the sim is never going to be as severe as it would in an actual aircraft. The stakes will never be as high. I agree completely. Both have their own value in training but neither can replace the other completely.